Manchester United has most definitely improved on last season. – To some, Man United’s away game against Bolton was supposed to be a litmus test to inspect the quality of Man United’s credentials this season. Of course, last season the champions struggled away from home, especially in the early part of the season. But fast forward 12 months, the team have been dominant and far more productive on the road. Against Bolton, Man United looked dynamic, powerful and incredibly lethal. Sergio Aguero has settled perfectly into Premier League – The majestical Argentine’s finishing was at its clinical finest against Wigan. His hat trick demonstrated his incredible composure in and around the box. All in all, his technical expertise, along with his creative footballing brain has given Manchester City another dimension this season. Aguero has only played four Premier League games in his career and he has returned with scored 6 Premier League goals. Absolutely Sensational. 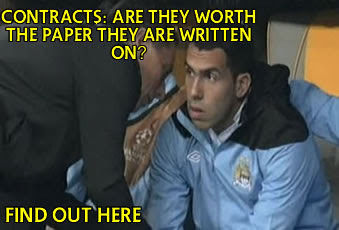 It’s fair to say, the prominence of Sergio Aguero has marginalised the significance of want away striker Carlos Tevez. Stoke – a team looking like European Contenders – Stoke armed with their new additions, Peter Crouch and Wilson Palacios came away with a win against Liverpool. Although at times Stoke rode their luck, and were second best, especially in the second half. They still managed to scrape a win, thanks to Stoke’s fantastic defending. The Potters defence was extremely organised and committed to the Stoke cause. Asmir Begovic deserves his plaudits too. 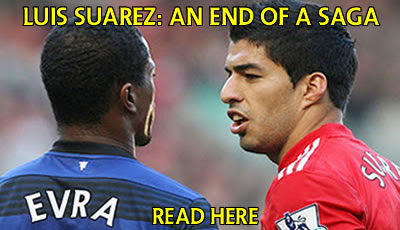 There were countless amounts of times when he single handidly kept Liverpool out too. Stoke’s awkward nature is a fundamental reason why the side will make further success at home and in Europe. Fulham will be banging their heads against the wall after this weekend – Prior to Fulham’s match against out of form Blackburn, The Cottagers, who haven’t won a league game this season must have thought this was the game to reignite their season. However, Fulham failed to capitalise on their dominance and decent chances. Fulham’s new signing Bryan Ruiz had an uninspiring debut, and it’s clear he will need time to settle. But more importantly, Fulham’s winless run continues. Bearing in mind the chances Fulham had. They will be rueing at the fact they didn’t get all three points against the Premier League’s basement club. Find out who won The Football Front’s prediction challenge here.